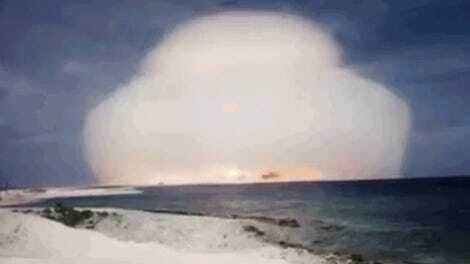 Did North Korea Show Off Its Ability to Make a Hydrogen Bomb With an Online Ad? These are weird times we live in and it’s tough to keep our heads on straight. An unnerving news cycle is building up around North Korea’s aggressive demonstrations of its military power. Today, the New York Times reported that the economically hobbled dictatorship may have accidentally shown off its capability to convert an atom bomb into a hydrogen bomb with an online advertisement for Lithium 6. The report explains that intelligence agencies from multiple countries were alarmed to find an online advertisement promoting the sale of the nuclear ingredient. A recent report from the United Nations revealed that the third secretary in the North Korean Embassy in Beijing had been identified as the seller. A cellphone number was listed in the ad and delivery was listed to come from a port in Dandong, China. It is generally believed that North Korea does have the ability to manufacture an atomic bomb but it’s unclear if it is capable of building a hydrogen bomb. And even if it did have the capability, no one is sure that it has managed to miniaturize a nuclear device so that it could be launched on a missile. Lithium 6 is a key ingredient to upgrading an atomic bomb to a hydrogen bomb that could be up to 1,000 times more powerful. 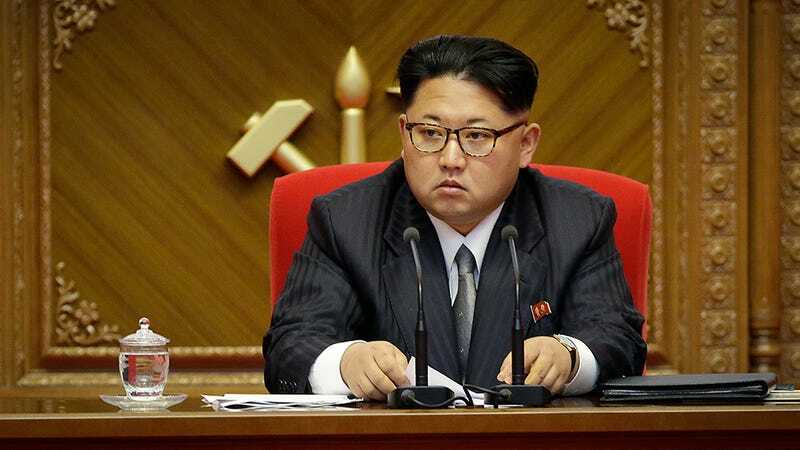 Kim Jong-un has claimed that his researchers have successfully tested a hydrogen bomb but experts called foul and said that the seismic activity in the area did not indicate a weapon with that kind of power had been triggered. But the online ad has many people expressing concern. Experts say the offer to sell excess lithium is evidence that North Korea has produced so much of the precious material that it is too late to prevent the nation from becoming an advanced nuclear power. “We need to change the fundamental objective of our policy, because North Korea will never willingly give up its program,” Michael J. Morell, a former deputy director of the C.I.A., and James A. Winnefeld Jr., a retired admiral and a former vice chairman of the Joint Chiefs of Staff, wrote last week on the website The Cipher Brief. “Washington’s belief that this was possible was a key mistake in our initial policy thinking,” added the two men, experienced hands at countering the North. The United States and China, they argue, should abandon the idea of denuclearizing the Korean Peninsula and turn to old-fashioned deterrence. And all of this is coming on the heels of Trump’s planned visit with Chinese President Xi Jinping at Trump’s golf course that is scheduled for this weekend. Yes, the same golf course where rich people pose for pictures with the unfortunate dude who has to carry around the nuclear football and classified documents are treated with total disregard. FT: Are you going to talk about North Korea and a way forward there? Trump: Yes, we will talk about North Korea. And China has great influence over North Korea. And China will either decide to help us with North Korea, or they won’t. And if they do that will be very good for China, and if they don’t it won’t be good for anyone. FT: How ambitious do you want to be with China? Could we see a grand bargain that solves North Korea, takes American troops off the Korean peninsula and really changes the landscape out there? FT: Well, if China is not going to solve North Korea, we will. That is all I am telling you. And do you think you can solve it without China’s help? Trump: I don’t have to say any more. Totally. So, we have a crackpot egomaniac with questionable levels of power puffing his chest about his remarkable capabilities and a North Korean dictator claiming to have nuclear weapons. This ain’t good. On top of that, we have the New York Times reporting intelligence sources’ belief that we’ve reached a point in which the U.S. needs to take more drastic measures to circumvent an isolated dictator because he has weapons of mass destruction. We all remember what happened last time that scenario occurred. All of this is to say, let’s just take these developments with a healthy grain of Lithium, I mean, salt. Forbes’ Tim Worstall points out that Lithium 6 isn’t really that difficult to make and is way easier to manufacture than enriched uranium. He also emphasizes the possibility that the online ad was planted to cause North Korea’s enemies to have this reaction. Kim Jong-un wants the world to believe he has the ability to build a working hydrogen bomb. Suddenly, the world is a little more inclined to do exactly that. With the Trump administration demonstrating its complete ineptitude and disregard for diplomacy, this is a situation that could get out of hand quickly.